Organizing Director for Teamsters 728 Ben Speight believes that President Becker could be the one to grant the requests of the Panther Express operators, however if no change is seen a protest could be the next step. Panther Express shuttle drivers are requesting higher wages and said they are likely to protest unless negotiations bring the desired increases. The driver’s union contract – the Collective Bargaining Agreement (CBA) – expires in April and covers wages and benefits. The CBA is under negotiation between MV Transportation, the company subcontracting drivers to Georgia State, and Teamsters 728, the union representing those drivers. Panther Express operators currently make $12 per hour after training and have a commission cap set at $15.20 an hour. 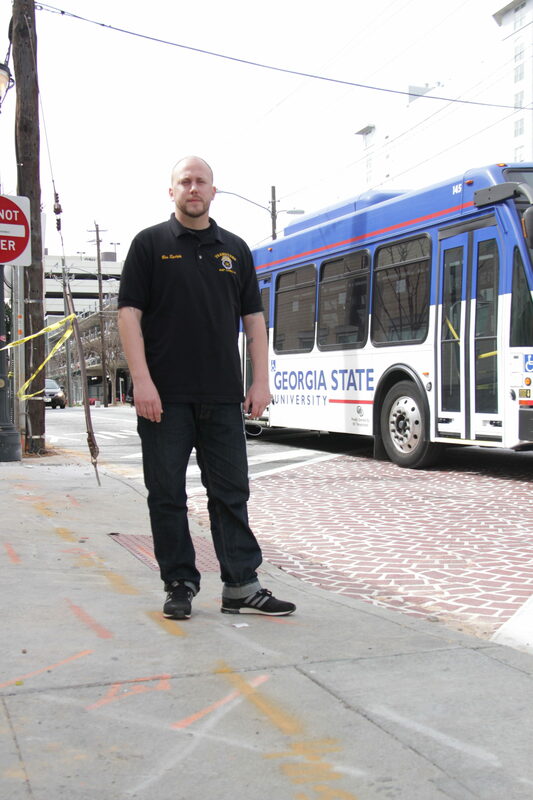 In his seven years of driving Panther Express shuttles, Raymond Agard has driven every campus route and has gotten to know many of the students on campus. He makes the maximum salary amount, but the 72-year-old said his pay is not a livable wage. Agard said his co-workers have gradually been leaving the job, because they cannot live on the salary. Many of them, he said, became bus operators for Marta. According to glassdoor.com, Marta bus operators make an average of $16.96 per hour. Jeffery Davis, general manager of MV Transportation, said the comparison between MARTA and Panther Express is a faulty one. Agard said Georgia State “would probably push to add a percentage more onto our salary” if students showed the university that the shuttle drivers are providing good quality service. Speight said the backing of the student body, such as calling on University President Mark Becker, could make the drivers’ request a reality. He said if operators’ pay does not increase, “the next step would be to reach out to the university in the form of a protest.” Agard agreed that is a possibility. Like Connelly, Davis also said Georgia State has no role in the CBA’s negotiation, and that the drivers are “putting on a show.” He said the operators’ choice to reach out to The Signal about the issue is unprofessional and unfair to students. Because the negotiations are private and ongoing, Davis said he could not comment on the likelihood of pay increases. He said part of the negotiation will be determining whether or not pay increases are within the budget. Speight and Agard met with students at the United Students Against Sweatshops (USAS) town hall on Feb. 2 and plan to have another meeting with students, before their contract expires to gather support. The agreement settled upon during MV and Teamsters’ negotiations next month will be in effect for the next three years.